The Rosapene™ Radiance Serum is a certified natural, silky rich serum that refreshes skin and helps boost a radiant complexion. It provides the perfect base for make-up. Hydrate and instantly smooth skin. 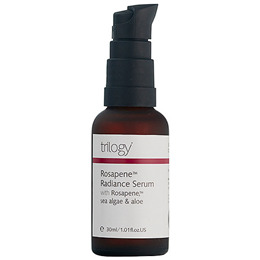 Formulated with Trilogy`s unique ingredient Rosapene™ which combines nourishing essential fatty acids from rosehip oil and cranberry, while antioxidants from lycopene and phytosterol from acai helps protect against environmental damage. Sea algae helps boost skin radiance for a glowing complexion, while aloe maintains moisture balance and soothes for younger looking skin. Aqua (Water), Aloe barbadensis (Aloe vera) leaf juice, Rosa canina (Rosehip) seed oil, Glycerin (Vegetable), Cetearyl olivate, Sorbitan olivate, Cetearyl alcohol, Caprylic/capric triglyceride, Benzyl alcohol**, Xanthan gum, Parfum, Rosmarinus officinalis (Rosemary) leaf extract, Solanum lycopersicum (Tomato) seed oil, Euterpe oleracea (Acai) fruit oil, Alaria esculenta (Algae) extract, Dehydroacetic acid**, Citric acid, Avena sativa (Oat) kernel extract, Vaccinium macrocarpon (Cranberry) seed oil, Helianthus annuus (Sunflower) seed oil, Tocopherol, citral*, citronellol*, farnesol*, geraniol*, limonene*, linalool*. Apply to cleansed face, neck and décolletage before moisturising. Can be applied after face oil and under your moisturiser to boost an existing skincare regime. Use morning and/or night as required. To ensure compatibility we recommended patch testing before first use. 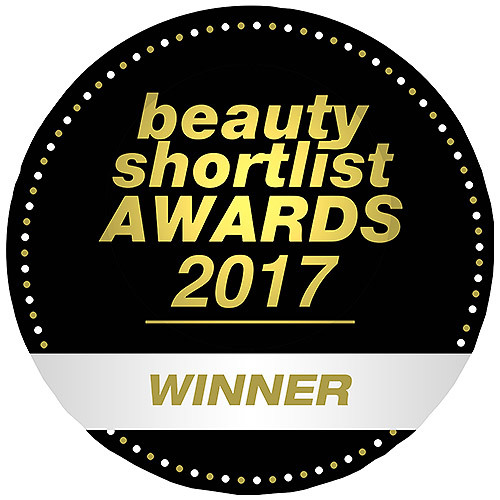 Below are reviews of Trilogy Rosapene Radiance Serum - 30ml by bodykind customers. If you have tried this product we'd love to hear what you think so please leave a review.